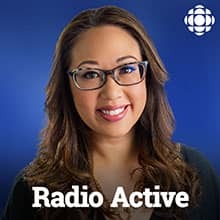 Radio Active brings you an eye opening, entertaining slice of Edmonton life. We'll update you on the latest news of the day, take you to what's going on right now and what's happening on weeknights. We'll let you know what you should know about your community. Dave Von Bieker musician and Radio Active In Crowder drops by to tell us about his new EP. And give a world premier of one the tunes.